Microsoft is testing a new feature with Cortana for Android that lets users access the digital personal assistant from the lock screen. Cortana for Android and iOS is looking better than ever after a facelift in December. Now with the overhaul finished, Microsoft has another plan for the Android edition of Cortana. MSPowerUser recently spotted the ability to add Cortana to an Android phone’s lock screen in the testing version of Cortana (beta) on Android—that’s right, there’s a beta for the beta. Users in the testing program are seeing a pop-up window inside the Cortana app that asks them if they want to enable Cortana on the lock screen. Once approved, users see a Cortana icon on the lock screen and are able to swipe it to get access to Microsoft’s voice assistant without unlocking the phone. It’s not clear if Cortana replaces the Google Now microphone in the lower left corner of the lock screen or adds another icon to it. MSPowerUser says Cortana’s lock screen setting is a complementary feature that will not turn off or try to replace your current lock screen set-up. For most users that won’t really matter, but for anyone who uses a custom lock screen app this will be an important part of the new feature. It’s also worth noting that Cortana on the lock screen doesn’t ask for your PIN before opening up, according to MSPowerUser. 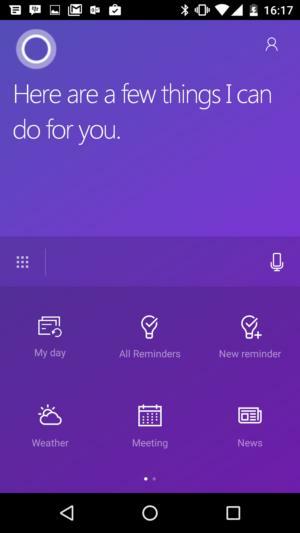 That means anyone with physcial access to your device will be able to access Cortana, which could be a problem if your calendar is connected to the digital assistant. Why this matters: Personal digital assistants work best when they’re accessible from anywhere. That’s why Microsoft put a lock screen option for Cortana in the Windows 10 Anniversary Update, and why Google Now offers voice activation from the lock screen on modern Android phones. Making Cortana on Android more functional also plays into Microsoft’s wider goal of keeping users in the company’s ecosystem even when they’re not using a Windows-powered device.